Kremlin spokesman Dmitry Peskov said that continuing the humanitarian pause in the event of resumed militant offensive operations in Aleppo would be impossible. MOSCOW. Maintaining a humanitarian pause in the northern Syrian city of Aleppo would be impossible in the event of a militant advance, Kremlin spokesman Dmitry Peskov said Tuesday. “If you remember, we said when the president deemed it necessary to extend the humanitarian pause that, in any case, everything will depend on the position assumed by the terrorists, because continuing the humanitarian pause in the event of resumed militant offensive operations would be impossible,” Peskov told reporters. 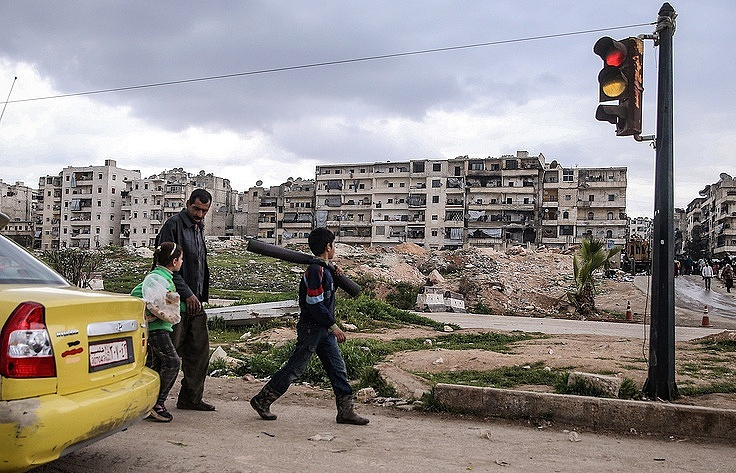 Total of 48 women and children left the Syrian city of Aleppo through humanitarian corridor accompanied by Russian reconciliation center’s officers and Syrian authorities, Russian Defense Ministry’s spokesman Maj. Gen. Igor Konashenkov said Tuesday. MOSCOW – On September 9, Russian Foreign Minister Sergey Lavrov and US Secretary of State John Kerry announced a ceasefire in Syria that took effect three days later. The ceasefire unraveled, however, after a September 17 US airstrike on Syrian troops and the government’s subsequent offensive against terrorist positions in the city of Aleppo. Fighting has been continuing in Aleppo during most of the five-year Syrian conflict. The Russian and Syrian governments agreed to stop airstrikes on Islamist fighters controlling parts of the city starting on Thursday. The humanitarian pause was later extended into Friday afternoon. Konashenko added, that six humanitarian corridors, hot meals and first aid stations continued working for those civilians who wanted to flee Aleppo. On October 20, the humanitarian pause was introduced in the embattled city of Aleppo to ensure the safe evacuation of unarmed militants, and civilians from eastern Aleppo via eight designated corridors. However, al-Nusra Front, recently renamed as Jabhat Fatah al Sham, prevented civilians who wanted to flee the city, attacking people, during their attempts to leave Aleppo. MOSCOW, October 25. /TASS/. Russian Aerospace Defense Forces and Syrian Air Force have not delivered airstrikes at Aleppo over the last seven days, and flights were not conducted over the city or its suburbs, Igor Konashenkov, official spokesman for the Russian Defense Ministry, told TASS on Tuesday. 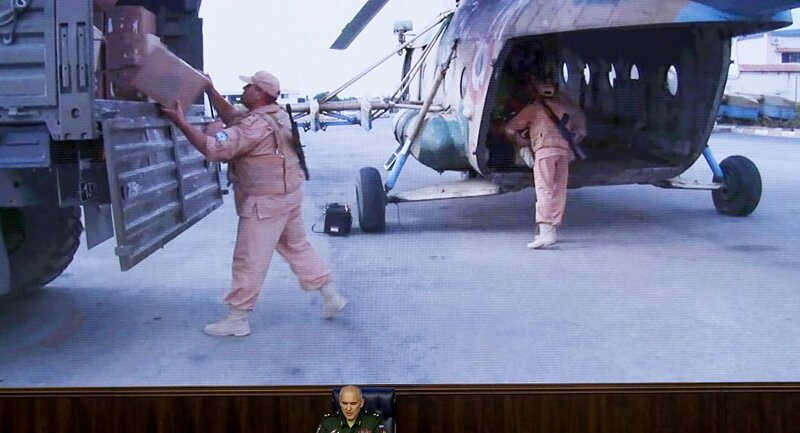 “Over the last seven days, flights of Russian Aerospace Defense Forces and Syrian Air Force over Aleppo were completely ceased,” Konashenkov said. “Aircraft do not come close to the city and do not deliver airstrikes. Six humanitarian corridors continue to work round-the-clock for peaceful civilians leaving eastern districts of Aleppo. Hot meal distribution and first medical aid outlets are open,” he added. Konashenkov noted that late in the evening on October 24, 48 women and children came exited eastern Aleppo through a humanitarian corridor with the help of officers from the Russian Center for reconciliation of the warring parties in Syria. They were provided with medical assistance, hot meals and accommodation. Iran is ready to cooperate and assist Russia’s humanitarian operation in Syria’s Aleppo, Iranian Deputy Foreign Minister Ibrahim Rahimpur said. BAKU Russia has been sending tonns of humanitarian aid to Aleppo and helped open several humanitarian corriders for civilians to be able to flee the city and the fighting. “Of course, we need to create conditions for normal life in Aleppo. All the residents of Aleppo and Syria are tired of this situation. We are ready to assist the Russian side in creating normal living conditions in Aleppo and Syria. We are ready to cooperate with the Russian side,” Rahimpur told RIA Novosti. The deputy minister noted that the issue would be discussed at the upcoming meeting between Iranian President Hassan Rouhani and his Russian counterpart Vladimir Putin in Baku. “There are no limits when it comes to discussions between the two leaders,” he said.Syria has been mired in civil war since 2011, with government forces loyal to President Bashar Assad fighting numerous opposition factions and extremist groups. On February 27, a US-Russia brokered ceasefire came into force in Syria. Terrorist groups such as Daesh, as well as the al-Nusra Front, both outlawed in Russia and a range of other states, are not part of the deal.